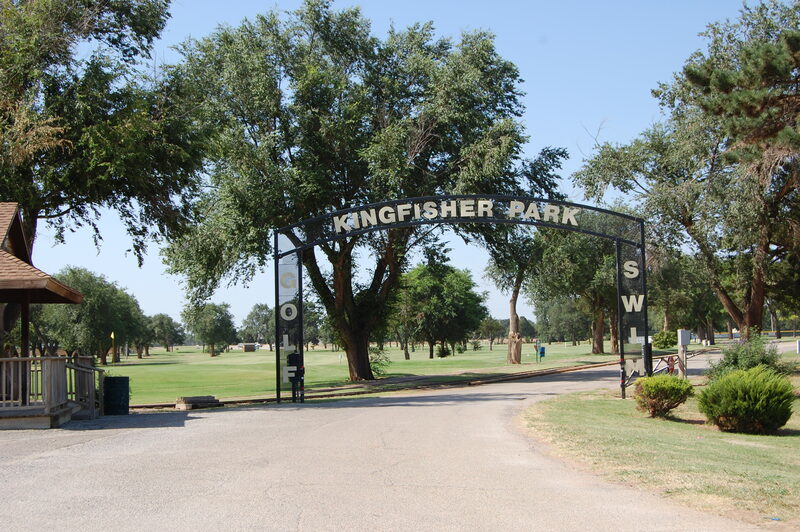 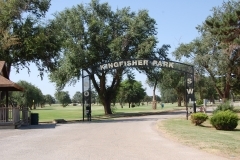 Kingfisher Park is a large city park on the east side of Kingfisher, along Highway 33. 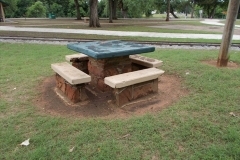 The park was constructed with a WPA allocation of $11,000 – year unknown. 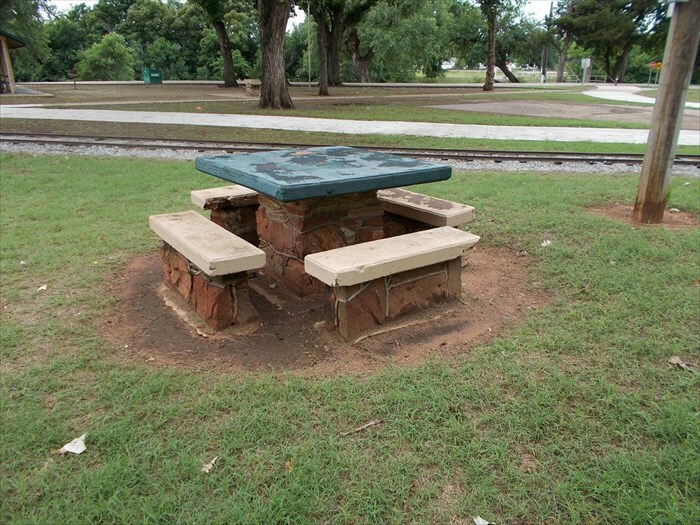 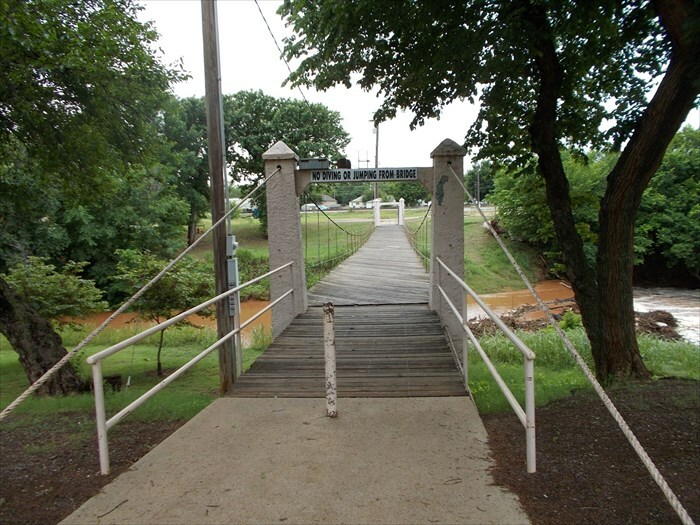 This park is listed as a WPA project in the Oklahoma Landmark Inventory database. 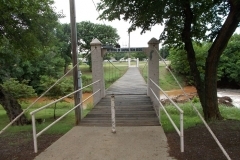 Remnants of WPA construction were noted in the native stone picnic tables and a suspension footbridge which has masonry support pillars at each end.